Did WWE Just Spoil Their Own Hall Of Fame 2019 Headliner? Email mix-up leads to potential HOF Class Of 2019 spoiler. WWE may just have accidentally revealed The Undertaker as this year's Hall Of Fame headliner. Yesterday saw the promotion send out an email advertising the WWE Network, with specific mention of the old episodes of Superstars added to the streaming platform yesterday. It listed 'The Deadman' as a 2019 inductee, and while WWE have since corrected themselves and issued a replacement email, the apparent mistake has the rumour mill swirling. 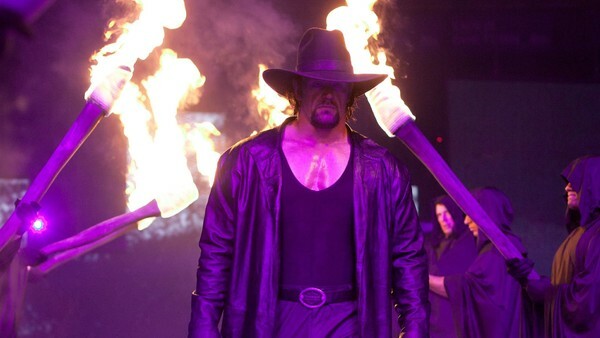 The Undertaker being inducted into the Hall Of Fame would suggest his in-ring retirement is imminent. WWE don't typically honour those who are still actively wrestling, and while 'Taker does seem to have a readymade WrestleMania 35 match lined up, he hasn't shown any indication of walking away from the sport since the 'Mania 33 farce. Of course, he more than deserves the honour. A company man with an unparalleled 29 years of service under his belt, his is perhaps the most famous gimmick in wrestling history. His last few years haven't been so flattering, but his impact is undeniable, and he's about the biggest headliner WWE could realistically pull off in 2019. Whether or not the induction goes down this April remains to be seen, but Undertaker is a surefire Hall-Of-Famer regardless.